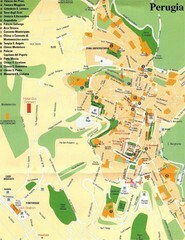 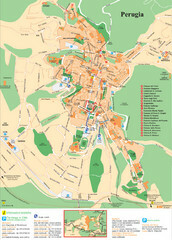 Tourist map of Umbertide, Italy. 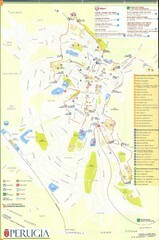 Shows major buildings and points of interest are labeled. 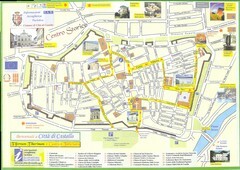 In Italian.